BUTUAN CITY, Jan. 29 (PIA) – To ensure a timely and effective response during emergencies and to comply with the prescribed standards and procedures in maintaining safety in airport operations, the Civil Aviation Authority of the Philippines (CAAP), Butuan Airport, Area Center XII will hold its first Butuan Airport Conference on Airport Emergency Planning 2015 to be held at the Almont Inland Resort here on January 30, 2015 which will start at 8:00 o’clock in the morning. Butuan Airport Manager Evangeline Daba stated that for the past year, the rate of sustained growth and investment in the region as manifested by the growing number of passengers and increasing volume of high value cargo handled by the Butuan Airport. “Since the Aerodome Emergency Planning (AEP) will operate on the basis of mutual aid and cooperation, we are seeking active support and cooperation from other line agencies to become members of the airport emergency committee,” encouraged Daba. She said that the airport emergency plan is a coordinated program between the airport and the surrounding communities and that the procedures needed to handle major emergency situations at the airport are similar to other types of major emergencies that can strike a community, whether an aircraft accident or a natural disaster. “An important consideration of the plan is the identification of all material resources that can be utilized to manage the emergencies identified within the airport emergency plan,” said Daba. This AEP includes a set of instructions to ensure prompt response for rescue and firefighting; police/security and medical services on and off the airport that would address all unusual conditions. “The manual also gives premium to an effective emergency/rescue effort requiring adequate pre-planning as well as execution of periodic practice exercise,” elaborated Daba. As mentioned also by Daba, the emergency plan ensures an orderly and efficient transition from normal to emergency operations; proper delegation of airport emergency authority; authorization by key personnel for actions contained in the plan; coordination of efforts to cope with the emergency; and safe continuation of aircraft operations or return to normal operations as soon as possible. TANDAG CITY, Surigao del Sur, Jan. 29 (PIA) - The Department of Labor and Employment- Surigao del Sur Field Office in coordination with the Public Employment Service Office (PESO) managers of Tandag City and Tago, Surigao del Sur spearheaded the 2015 “Araw ng mga Kasambahay” anniversary celebration recently. Republic Act (R.A.) 10361 or popularly known as “Batas Kasambahay or Domestic Workers Act” was signed by President Benigno S. Aquino III on January 18, 2013. This has been promulgated to serve the interest of our ‘kasama sa bahay’ and aims to strengthen respect, protection and promotion of the rights and welfare of kasambahays. The anniversary celebration was attended by around 60 participants including kasambahays, employers, barangay officials and the newly created Barangay Employment Service Office (BESO) of Tandag City, partner agencies from Government Service Insurance System (GSIS) Tandag City, Social Security System (SSS), PhilHealth, PagIBIG and PESO. DOLE labor and employment officer Romelyn B. Bactol presented the Implementing Rules and Regulations of R.A. 10361 and made mention on the eligibility of the kasambahays to receive 13th month pay, five days service incentive leave for every one year of service, enrollment to SSS, PhilHealth and PagIBIG, the right to board and lodging, minimum wage for chartered cities and 1st class municipalities and other rights and benefits of kasambahays. Partner agencies coming from the Social Security System, PhilHealth and PagIBIG have likewise presented their programs and services. They have entertained queries and clarifications coming from the participants that made them enlightened and encouraged to register/enroll and if already a member, to correct/update the status they are enrolling in the SSS to avail the Employees Compensation (EC) in times of work related accidents. Meanwhile, Tandag City PESO manager Lorna L. Novo also shared the values of Pope Francis, "to love and have compassion to the poor which includes our kasambahays." She further reminds the participants to share the good news to other kasambahays and employers they know and to register/enroll in the social services as mandated from the Batas Kasambahay. BUTUAN CITY, Jan. 29 (PIA) – Public secondary/integrated secondary school heads of the Department of Education (DepEd) Butuan City division will attend a three-day assembly on Clustered Assemblies of Public Secondary School Heads. In a travel authority issued by Schools Division Superintendent Josita B. Carmen, 32 school heads of the division will be attending the assembly in Cebu City on January 31 to February 2, 2015. The activity aims to strengthen the accountability of stakeholders through the leadership of school heads in the Governance of Basic Education towards the realization of Education for All (EFA). Topics to be discussed during the assembly shall focus on Senior High School program management, partnership, engagement, relevance, accountability and governance. Participants in the activity are secondary school heads, vocational school administrators, School-based Management Philippine Accreditation System for Basic Education (SBM PASBE) division and regional coordinators, and supervisors in-charge of senior high school preparations. TANDAG CITY, Surigao del Sur, Jan. 29 (PIA) - The presence of an “unidentified armed groups” in the hinterland barangays of, at least, two towns and one city in Surigao del Sur has been bared in a meeting on January 28, 2014 by the Joint Peace and Security Coordinating Committee (JPSCC) chaired by Governor Johnny Pimentel. Although not contained in the separate briefing presented by Col. Alexander Macario, newly-installed commanding officer of the 401st Infantry Brigade under the 4th Infantry Division (4ID) of the Philippine Army (PA), and P/SSupt. Narciso Verdadero, acting provincial director of the Philippine National Police (PNP) in Surigao del Sur, yet it came about during the course of the proceedings. It was particularly brought out at length by Governor Johnny Pimentel and Vice-Gov. Manuel Alameda, Sr. before the presence of MGen. Oscar Lactao, 4ID commanding general, accompanied by all his top army officials, especially, from the 401st Infantry Brigade together with its battalion commanders, and P/SSupt. Verdadero, who all dropped by the Provincial Governor’s Office (PGO) first for a “courtesy call” before proceeding to the meeting venue of the JPSCC at the Villa Maria Luisa Hotel in this city. For his part, Vice-Gov. Alameda disclosed everything he knows about the said group, especially, those operating allegedly in San Agustin town, where his sister, Libertad, is the incumbent mayor. The vice-governor stressed the armed group, whose members are wielding long, high-powered firearms, was estimated to be at 30 up to 70-strong. Barobo Mayor Felixberto Urbiztondo, who came in a little earlier to discuss the matter with Gov. Pimentel, raised the same issue on armed group in his municipality. In the course of the JPSCC meeting proper, Ceciro Bacolod, who was introduced as representative of Bislig City Mayor Librado Navarro, aired the same alarming presence of armed group in their area. TANDAG CITY, Surigao del Sur, Jan 29 (PIA) – The first Joint Peace and Security Coordinating Committee (JPSCC) meeting was successfully held in this city recently in collaboration with the Philippine Army (PA), the Philippine National Police (PNP) and the provincial government of Surigao del Sur. 401st brigade commander Alexander Macario said that the JPSCC is a mechanism to ensure the cooperation between the Armed Forces of the Philippines (AFP), PNP, and the local government units (LGUs) in addressing peace and security concerns in the locality, including disasters and calamities. Accordingly, the major function of the JPSCC revolved on the drafting and execution of plans on joint military and police operations against the lawless groups, criminal elements, private armed groups and other threat within the respective jurisdiction in support to the LGUs. Meanwhile, PNP provincial director PS/Supt Narciso Verdadero said that the peace and order in Surigao del Sur is manageable even though the CNN (CPP/NDF/NPA) remains a potent threat in the province. "On April 2014, the province's crime rate was rated 60.84%, it went down to 41.81% on December 2014," he added. 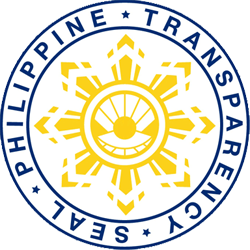 SURIGAO CITY, Surigao del Norte, Jan. 29 (PIA) – The Fair Trade Enforcement Bureau (FTEB) of the Department of Trade and Industry (DTI) recently warned the public on some blacklisted and unaccredited freight forwarders both foreign and local. In its advisory dated January 16, 2015, the bureau presented the list of blacklisted foreign forwarders, blacklisted Philippine freight forwarders including firms with pending cases. DTI-Surigao del Norte provincial director Celestino L. Negapatan appealed to the public especially the Surigaonons to be extra careful on availing services of freight forwarders and for them to advise their relatives abroad to be careful in identifying firms that they will entrust their balikbayan boxes and other items. 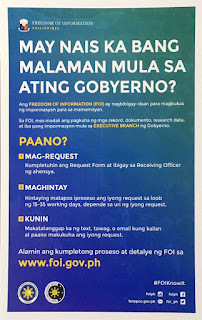 For the complete list of the said blacklisted firms, they can visit and ask any DTI Provincial Office for a copy of the FETB advisory or they can visit the website: www.dti.gov.ph/index.ph.resorces/listings and look for the freight forwarders section of this webpage. All accredited freight forwarders area also listed on the said website. BUTUAN CITY, Jan. 29 (PIA) - The Department of Trade and Industry-Agusan del Norte Provincial Office (DTI-ADN) announces the conduct of its first Diskwento Caravan on January 29-31, 2015 at the parking area of the Princity, Inc., Atega-Curato Streets, Cabadbaran City. Consumers in the city and neighboring municipalities are invited and encouraged to visit and buy at the Diskwento Caravan as they prepare for the city’s fiesta celebration in the following week. As one of the pillar programs of the agency, the Diskwento Caravan aims to ease the financial burdens of consumers by bringing to them basic necessities and prime commodities at discounted prices. For this purpose, DTI-ADN organized said activities involving several major distributors, wholesalers/retailers and local manufacturers who have wholeheartedly committed to sell their products at a discount.